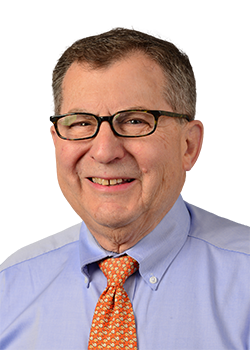 Hyman B. Muss, MD, is a professor of medicine at the University of North Carolina- Chapel Hill School of Medicine and Breast Cancer Geriatric Oncology Program, and director of geriatric oncology at the Lineberger Comprehensive Cancer Center. Dr Muss’ major interest is in the care of the older patient with cancer with a focus on the treatment of breast cancer in older women. Older patients frequently receive poorer cancer treatment and he is interested in improving cancer care in such patients. He has a major interest in biomarkers of aging and geriatric assessment in older patients with cancer. Dr Muss and his colleagues at the Lineberger Cancer Center have developed a geriatric oncology program, including a geriatric oncology consultation clinic. He is exploring the effects of cancer treatment in older patients on the expression of CDKN2A. Dr Muss and colleagues have found this gene activity dramatically increases with aging and may serve as a marker for the longterm side effects of different therapies. He is co-chair of the Cancer in the Elderly Working Group, Alliance Cooperative Group (previously Cancer and Leukemia Group B); recipient of the BJ Kennedy Award in Geriatric Oncology-American Society of Clinical Oncology 2008; and recipient of the Susan G. Komen for the Cure–Brinker Award for Scientific Distinction in Clinical Research in 2012.